Backpacker Magazine has set itself a task of assembling the cheapest safe climbing rack it could. They came up with rock shoes, a harness, belay device, helmet and locking carabiner for $183 that were then tested climbing around the places including Joshua Tree. 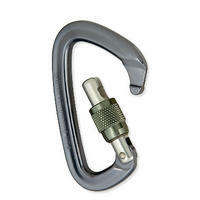 To upgrade to toproping costs more, adding $161 for the price of a rope, slings and carabiners. The cheapest rope they recommended is the delrid 10.5 mm Standard Skyline at $130. Leading gets a lot more expensive – with a decent rack of stoppers, hexes and cams adding more than $380 to your bill. Great post for those wanting to start out!